Meat mixers for mixing meat with various condiments and spices to make a homogenous blend. After sales service in France in our workshops. Professional kitchen cutter for cutting and grinding large amounts in complete safety. 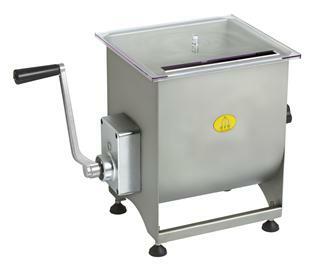 750 W electric meat mixer, vat for 30 kg of mincemeat. 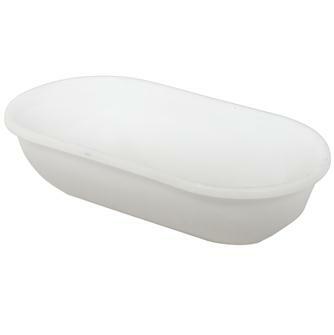 Perfect for blending spices with meat. 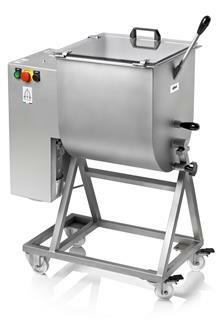 27.7 litre manual meat mixer, up to 20kg of mincemeat. Perfect for blending spices with meat. 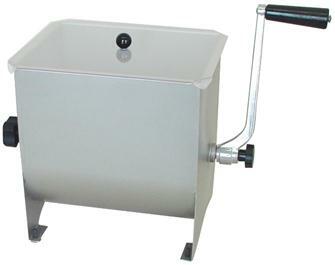 1100 W electric meat mixer, vat for 50 kg of mincemeat. Perfect for blending spices with meat. Butcher´s 2 in 1 cutter. Very fast and powerful. 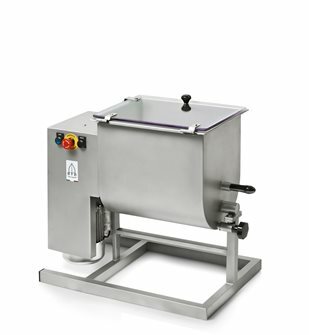 For cutting and grinding meat, fruit, vegetables and cheese in complete safety. 2 in 1 butcher´s cutter. 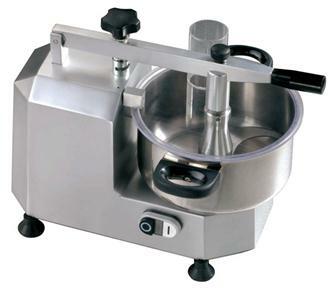 Very fast and powerful for grinding and cutting meat, fruit, vegetables and cheese in complete safety.